Roy Hodgson has been asked to do the impossible with the current England squad. Impress the harshest press in the world, bring together a squad filled with some of the biggest egos in football, and overcome the shadow of media darling Harry Redknapp. The only way to satisfy these unreasonable expectations is to win a competition that England has never won before, and do it missing your best option at striker for the first two matches. Roy must accomplish all this with only a month to prepare, having just earned the job on May 1, while having the British media criticize everything from his team selection to his speech impediment. 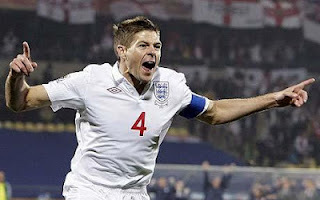 Hodgson has named Steven Gerrard as his captain, after controversy surrounding alleged racial remarks made by John Terry caused his tenure as England captain to end. Gerrard is a born leader and has successfully steered Liverpool to UEFA Champions League glory, Hodgson’s hope is that Gerrard can do the same for his England squad in what may be Gerrard’s last tournament with the Three Lions. Hodgson was ready to experiment with playing both Frank Lampard and Gerrard in central midfield roles, but a leg injury has caused Lampard to be replaced by winger Jordan Henderson. Henderson is part of a quartet of wingers brought along by Hodgson to be utilized in his 4-3-3 formation. Theo Walcott, Alex Oxlade-Chamberlain, and Theo Walcott will be the others flanking Andy Carroll in the tournament’s opening two matches, before Wayne Rooney returns from his suspension. Once Rooney is back, his partnership with Ashley Young and Danny Welbeck may be resumed. The rest of the England midfield is comprised of James Milner and Scott Parker who will bring bossing presences throughout. The defensive line will be comprised of Champions League winners John Terry, Gary Cahill, and Ashley Cole. Phil Jones adds a versatile, exciting, attacking option from the defense while gaining valuable major tournament experience. Glen Johnson will feature at right back, coming off a great season with Liverpool. Terry’s center back partner is in question with Cahill, Baines, Lescott, and Jagielka all capable of fitting into the role. With so much controversy surrounding the squad to go along with a handcuffed manager and less than ideal public support, it could be a difficult tournament for England. If the team is able to put aside egos, media distractions, and Gary Neville’s WAG ban, they may be able to put in a challenge for the Euro title. A looming knockout stage matchup against defending champions Spain will be another difficult hurdle for the Three Lions to overcome. The last snapshot of France at a major tournament ended in disaster, with the French squad staging a mutiny against eccentric former manager Raymond Domenech. Laurent Blanc has succeeded Domenech and rehabilitated the image of the national side to the French public while successfully navigating France to Euro 2012. Blanc is as tactically astute as he is expressionless on the touchline, and commands the respect of that successfully ousted his predecessor and themselves from in World Cup 2012. Blanc’s tenure has not come without controversy. 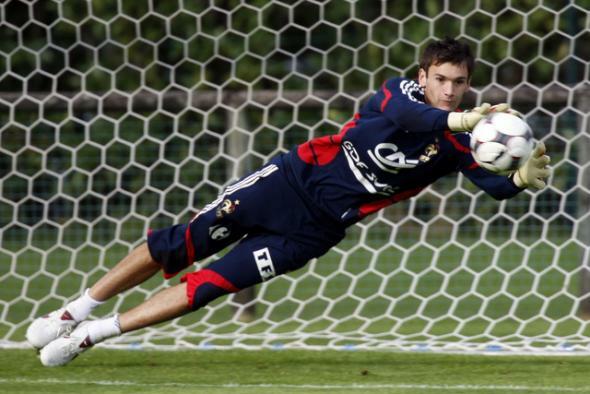 Blanc had named several captains for French matches before settling on the levelheaded goalkeeper Hugo Lloris. Lloris is one of France’s youngest captains ever, and has earned it after turning in several seasons of solid goalkeepering for Olympique Lyonnais. His defense will be composed of Manchester rival full backs Gael Clichy and Patrice Evra. Philippe Mexes and Laurent Koscielny will feature in the center of defense while Mathieu Debuchy and Anthony Reveillere will battle for the right back spot. Blanc will field a 4-2-3-1 or 4-3-3 formation, preferring to have an added presence in the midfield in favor of the extra attacker. Franck Ribery is the superstar that will dictate play, along with the equally capable Samir Nasri. Newcastle’s Yohan Cabaye and Hatem Ben Arfa offer versatility and creativity to go along with Florent Malouda’s veteran trickery. Yann M’Vila says he will recover from a midweek ankle sprain in time to feature in the French midfield. Longtime French servant Thierry Henry has hung up the boots for his national side, meaning the goal scoring burden has been firmly placed on the shoulders of Karim Benzema following the exclusion of Yohan Gourcuff and Loic Remy. Oliver Giroud enters Euro 2012 following a fantastic campaign with Montpelier where he scored 21 goals in Ligue 1 play. Blanc’s squad should easily qualify for the knockout stages, and once there is a threat to any squad they face. The squad looks focused and determined to redeem themselves after a poor showing in South Africa. They also have the benefit of facing their toughest competition England without their top choice striker Rooney. Sweden is another team that has recently undergone a transformation under the guidance of a new manager. Erik Hamren has instituted an attacking philosophy in place of the former defensive-minded tactics, and has been rewarded with 31 goals throughout Sweden’s successful qualifying campaign. Hamren’s installation of positive tactics has changed traditional Swedish philosophies, yet the success of the squad hinges heavily on the performance of talismanic striker Zlatan Ibrahimovic. Zlatan is one of the most accomplished footballers in the world, scooping up domestic titles throughout his travels across Europe. Hamren’s game plan involves heavy use of the black-belted striker, but that role may be toned down in favor of a more reserved style at the Euros. Football fans around the world know how the temperamental striker can perform when properly motivated; he is the type of player that causes many sleepless nights for supporting and opposing managers alike. Hamren has experimented with a variety of formations during the run up to Euro 2012, but will likely field a 4-2-3-1 in favor of the 4-3-3 and 4-4-1-1 formations he has tinkered with in recent months. Blackburn youngster Martin Olsson is the top choice to feature at the questioned left back position while stalwart Olof Mellberg will anchor the defense from center back along with Jonas Olsson. The Swedish midfield is comprised of a variety of experienced, well cultured players from Seb Larsson and Kim Kallstrom to vice-captain Anders Svensson to youthful attacking talents like Rasmus Elm. Elm and Larsson play a vital role in the attacking buildup that made the squad so successful in their qualifying campaing. Zlatan is likely to feature slight behind Johan Elmander in the formation, forming one of the biggest physical partnerships at the tournament. As has been mentioned, Sweden’s success depends heavily on Zlatan, who on his day can be considered one of the best footballers alive. If the midfield is able to provide the support necessary, Sweden may cause a surprise at Euro 2012. The co-host nation comes into the tournament as heavy underdogs, not expected to win a single match. Manager Oleg Blokhin set about forming a squad with a no-nonsense demeanor and demanded that his players all play regular first-team football with their club squads. Many Ukrainian fans believe he is the wrong man for the job, but after achieving success in the 2006 World Cup he has tried to silence his critics with experimental lineups in friendly matches. 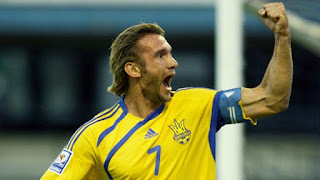 The co-hosts are led by their captain and all-time leading scorer Andriy Shevchenko. The national treasure has had his share of confrontations with Blokhin, but hopes to put those aside for what is likely to be the final major tournament of his illustrious career. Although fitness and injuries have been a concern for Shevchenko, he will surely put them aside for one last opportunity for glory. Andriy Yarmolenko and Oleg Husiyev are crucial to Blokhin’s tactics in a 4-5-1 formation, serving as the wide midfielders that provide service to Shevchenko. Their final formation for the tournament is still an unknown quantity because of a lack of meaningful, competitive matches in recent years. Despite having an unknown formation, expect Anatoliy Tymoschuk to feature prominently in the central of the midfield, with the Bayern man directing play. The Ukraine squad is one that is riddled with weakness, from division within the locker room with the heated rivalry between Dynamo Kyiv and Shakhtar Donetsk carrying over to the national side. The defensive third is also questionable, consisting solely of domestic players, many of whom are unknown quantities to the average football fan including this journalist. Despite having the advantage of playing with the support of their nation, I don’t see any way how Ukraine will progress through the group stage of this tournament. An overall lack of quality, aging superstars, a divided squad, questionable manager, and stiff competition will in some way overwhelm the co-hosts. Unless Zlatan Ibrahimovic can turn in the tournament of a lifetime, I see France and England easily progressing from this group into the knockout stages.